Guests at the Hilton Buena Vista Palace, like those at the other six hotels in the Disney Springs Resort Area, became eligible for FastPass+ at 60 days and Extra Magic Hours—the two most valued Disney World perks—in 2018, eligibility that will extend at least until 12/31/2019. 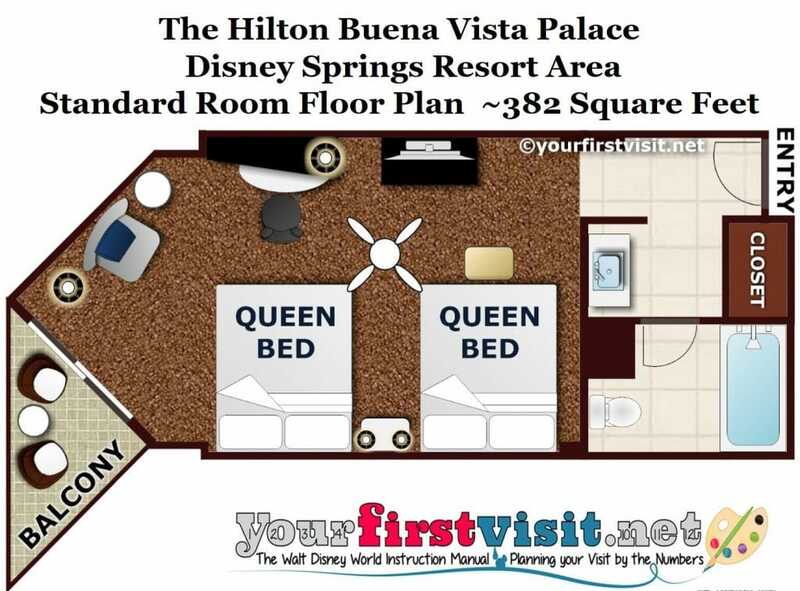 The Hilton Buena Vista Palace offer rooms with a king bed, or with two queen beds, in two different accommodations buildings, a mid-ride set of towers and a low rise known as the “Island” building. 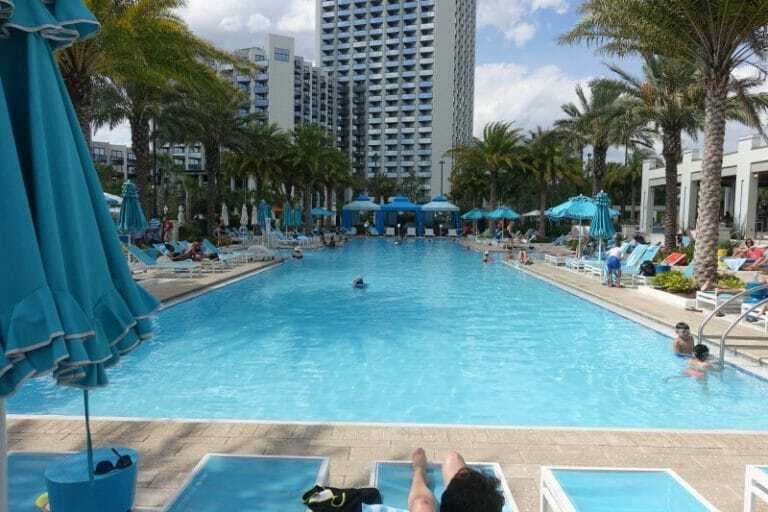 The best features of the Hilton Buena Vista Palace are its family-friendly baths, balconies, nearness to Disney Springs, and the broad range of strong amenities it offers. 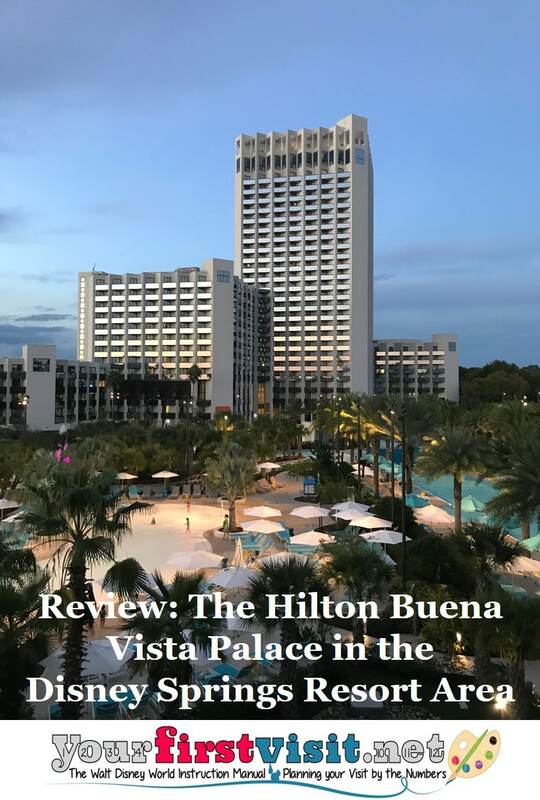 More specifically, the Hilton Buena Vista Palace is alone among the Disney Springs Resort Area hotels in offering both balconies and divided baths in its standard rooms, has the best pool complex among these hotels, and has dining about as good as any of them. Weaknesses include noise levels in Island building rooms, and, for Disney Springs Resort Area hotels, relatively high prices. 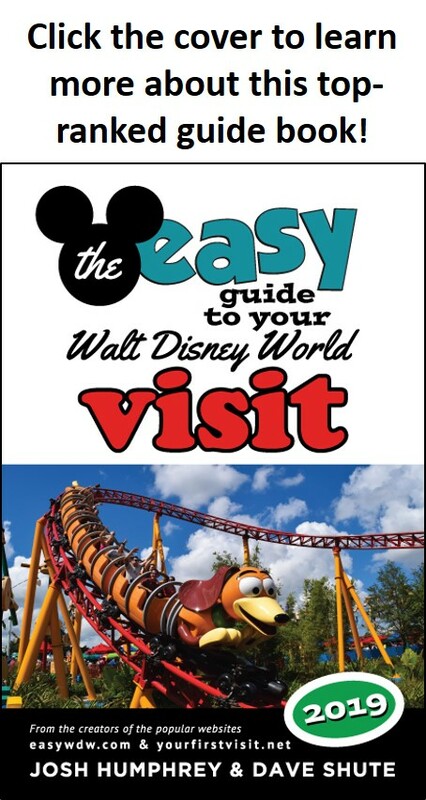 It shares with all the Disney Springs Resort Area hotels weak park transportation. The Hilton Buena Vista Palace offers several room types in two principal groups of buildings–one the main tower, with multiple levels, and another a lower and somewhat distant accommodations building called the Island. Rooms with a king bed and rooms with two queens are available, most with balconies. When booking, you can select your building (tower or Island), beds, and also choose your view. The Hilton Buena Vista Palace is a significant convention hotel, and as in all such hotels, multiple suite options are also available, especially in the Island building. 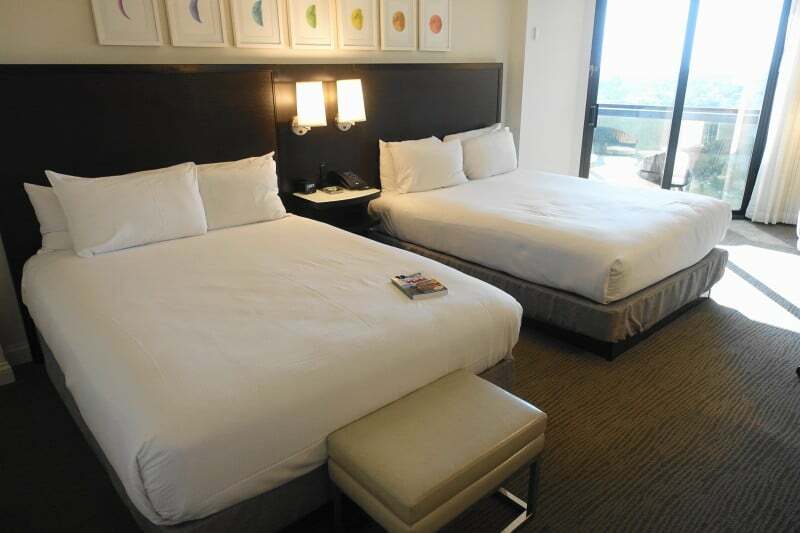 Tower rooms offer one king or two queen beds, a divided bath, a balcony, and an easy chair. 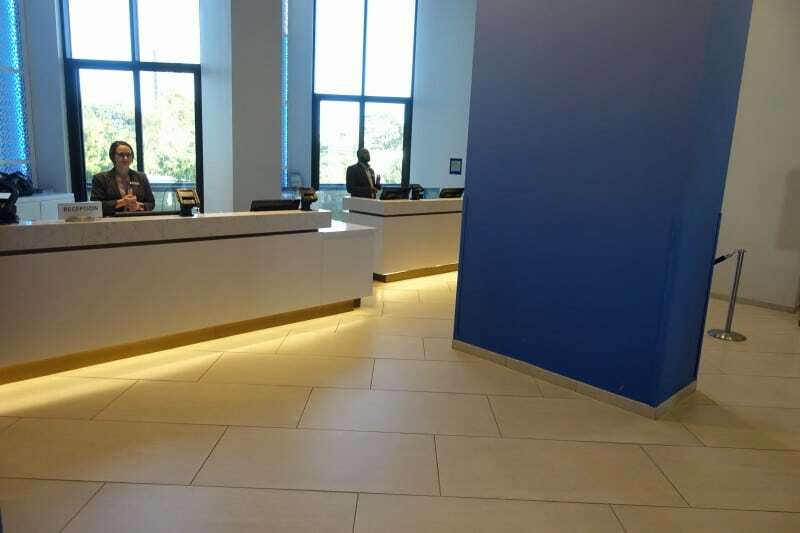 This combination makes them more livable and better appointed than any other Disney Springs Resort Area hotel. The bed side of Hilton Buena Vista Palace two queen tower room. The divided bath includes a sink and closet area off the main entry hall, and then beyond them a full bath with another sink. This makes the room much more family-friendly than many other Disney Springs Resort Area options. 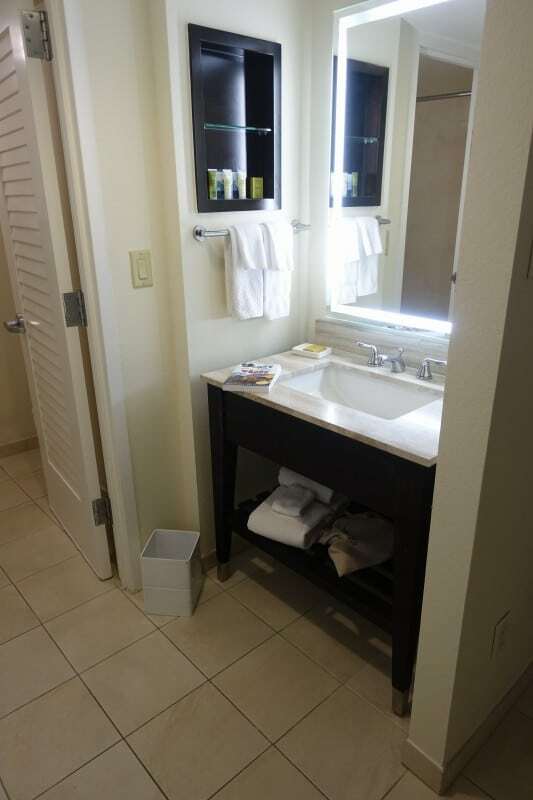 Among standard rooms in the rest, you’ll find divided baths only in the Hilton Orlando and in Wyndham Garden rooms. Above is the balcony, the image taken on not the loveliest day. 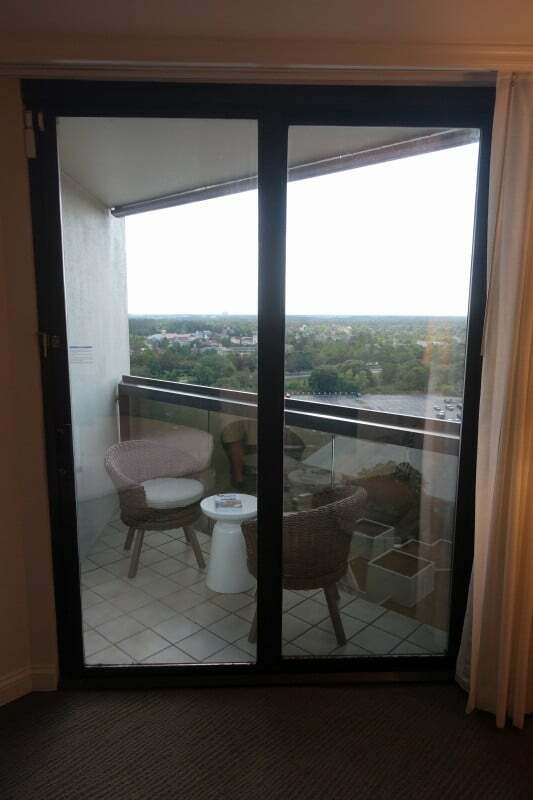 Among the Disney Springs Resort Area hotels, you’ll find balconies in standard rooms elsewhere only at the Holiday Inn and Best Western. A photo tour of a two queen tower room at the Hilton Buena Vista Palace is here. Island building rooms with two queens offer the same room amenities in a slightly different room layout. They are more distant from most of the Hilton Buena Vista Palace’s guest amenities other than the pool and walkway to Disney Springs, and are also a bit noisy. 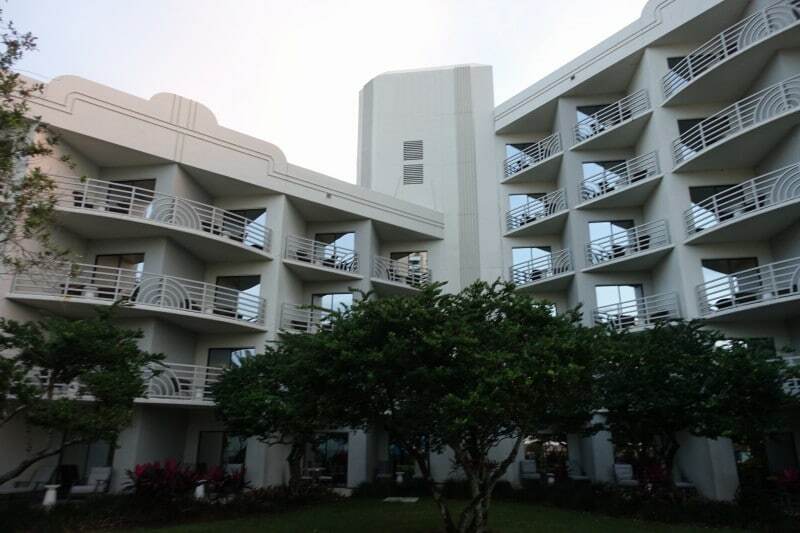 A photo tour of a two queen Island building room at the Hilton Buena Vista Palace is here. The principal dining venue at the Hilton Buena Vista Palace is the Letterpress, on the lowest hotel level. Letterpress serves breakfast, lunch and dinner, and also hosts character meals Sunday mornings. I’ve found it to be the most consistently good restaurant among the Disney Springs Resort Area hotels, but some will prefer the broader selection of options at the Hilton Orlando. There’s bars both indoors and by the pool, with the pool serving an extensive dining menu as well, and snacks, drinks, and grab and go items are available in a shop near Letterpress that is open 24 hours some days and until 2a on other days. There’s also a Disney gift shop offering souvenirs, park tickets, and such on this same level. There’s more on dining and the other amenities at the Hilton Buena Vista Palace here. 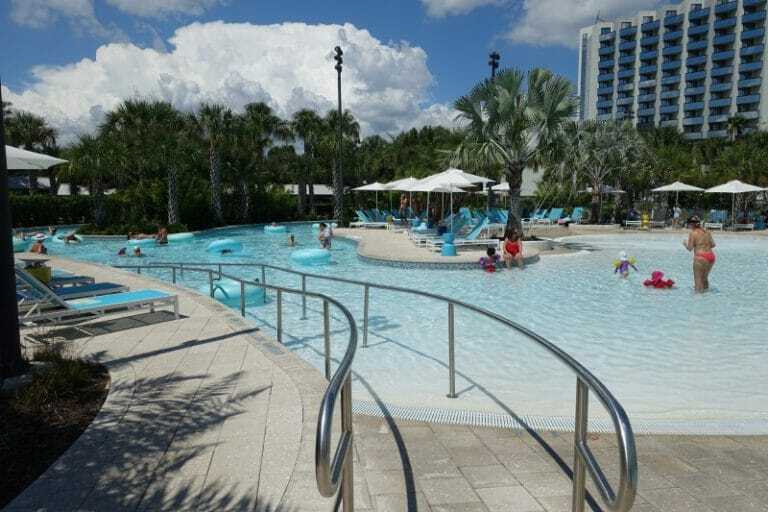 The Hilton Buena Vista Palace pool complex is the best among the Disney Springs Resort Area hotels. It includes a traditional pool, a lazy river pool, and a in a lobe off of the lazy river pool, a kids wading pool with water play features. You’ll also find a hot tub, an extensive play area, and as noted above, a pool bar and grill. For more on the pools at the Hilton Buena Vista Palace, see this. The Hilton Buena Vista Palace participates in a transportation program sponsored by all the Disney Springs Resort Area hotels. One group of buses serves the Best Western, the Wyndham, and the Hilton Buena Vista Palace, and another the other four hotels here. Having your own car or a rental is a much better option. Self-parking at the Hilton Buena Vista Palace is $20/night and valet parking is $28/night. Parking at the theme parks is $25/day. Pricing at the Disney Springs Resort Hotels is much less visible than that at the Disney-owned resorts, and multiple prices for the same room e.g. for non-refundable stays, stays by folk with AAA, etc. are common. Discounts and deals are also common, and these hotels commonly show up on the various hotel deal sites. The Hilton Buena Vista Palace resort fee is (after tax) $39.38 per night–tied with the Hilton Orlando as the highest among the Disney Springs Resort Area fees. Prices at the Hilton Buena Vista Palace (before any discounts you might find, but including resort fees and taxes) are generally among the highest of the seven Disney Springs Resort Area hotels, and are typically comparable to those for a Disney-owned moderate resort. For families looking for queen beds, a divided bath, a balcony, good dining, a great pool complex, and other strong amenities, the Hilton Buena Vista Palace can be a reasonable option, offering amenities somewhere between those of a Disney moderate and a Disney deluxe at a price commonly closer to that of a Disney moderate. 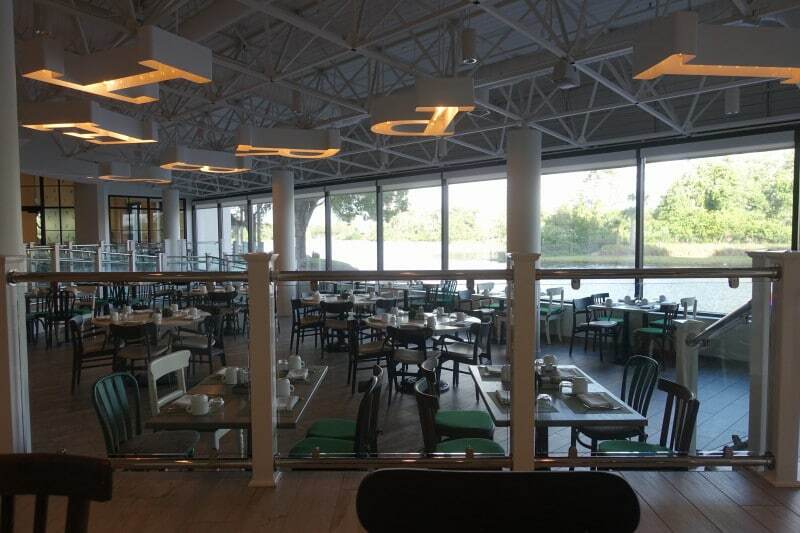 Overall, it is the best choice among the Disney Springs Resort Area hotels. Kelly, the long-time travel agent partner of this site, can book your Disney World vacation at the Hilton Buena Vista Palace–or at any other Disney World hotel! Contact here using the form below.